I am writing about Quantum Computing now, because I see the beginning of something big that will impact all our lives soon. I had the same premonition about PCs when I got my first Osborne Computer in 1981 and was on the Internet before there was ever a web browser or a Yahoo or Google. So let’s explore what Quantum Computers are, what they can do and what they could mean for you and me. But what the heck does this mean? Bits vs. Qubits. The simple explanation is that Quantum Computers use a whole different paradigm for achieving results at lightning speed. On the one hand, the fundamental building blocks of traditional computer code are 1’s and 0’s – BITS. So their state is either ON – a 1 or OFF – a 0. Consequently, traditional computers solve problems in a sequential way: if A then B then C . . . So their speed is based on how fast they can do these sequential calculations. There are things like parallel processing that allow these machines to walk and chew gum at the same time, but it’s still walking. On the other hand Quantum Computers (“QCs”) can see 1’s and 0’s at the same time! QUBITS. So instead of solving a problem sequentially, QCs can simultaneously attack a problem from multiple different directions. You can get way deeper into how it works, but this gives you the basics. Why Do We Care About Quantum Speed? Quantum Speed means we can solve really complex problems fast enough to matter. For example, take the example of the emerging technology of self-driving cars. Volkswagon and D-Wave Systems, one of the first commercially available QC systems, successfully tested optimizing the routes of 10,000 taxis in Beijing simultaneously to reduce traffic congestion. Unless you can do this fast in realtime, the information becomes useless. If you’re in a taxi, it needs to know to take the next left before it reaches the intersection and traditional computers, even supercomputers, may not be fast enough to do that. This kind of QC computing power can handle other kinds of very complex data-intensive problems, like predicting weather patterns, catching terrorist needles in a global haystack, cracking encryption, predicting financial trends, space exploration, genetic research and more. What Does The Quantum Computing Future Look Like? Besides attacking and solving the big data, complex problems mentioned, QC gets really interesting when combined with Artificial Intelligence (“AI”). I mean how does a traditional computer, IBM’s Deep Blue, beat the world champion chess player at chess, or Google’s AlphaGo, beat the world champion at the game of GO? The programmer who wrote the code for these machines is not a better chess or GO player. The only way these AI machines exceed the most skilled humans is by Learning. And by learning, just like the Beijing taxis, the machine must recognize patterns, optimize, and return results fast. Finally, remember when computers, that were less powerful then your cellphone, filled large air-conditioned rooms? Certainly one of the obstacles with QC is that the machines rely on superconductivity. That means to move electrons at super high-speeds, the QC is housed inside a refrigerator set to less than one degree above Absolute Zero (-273 degrees Fahrenheit!). But who knows? Maybe we’ll be carrying Quantum Computers in our pockets one day too. That be years off, but why, in the very near future, couldn’t your current cellphone connect to a Quantum Computer? You send it the problem, it crunches the numbers at quantum speed, and sends you the answer instantly. Cool, eh? For more on this subject, as well as future posts on biological computers, quantum biology and Deep Learning, join our mailing list and you’ll be the first to know when these new posts are available. Until then, my self-driving car is waiting . . . . The Approach of Web 3.0 – What Is It? and What Can You Do? In case you didn’t know that there were different design iterations of the internet, there are, and we’re approaching number 3. So what is Web 3.0? Well to understand the newest form of the Internet, you have to understand how it’s evolved over time. For the sake of simplicity, I’ll rely on how Tim Berners-Lee (creator of the web-browser) describes the Internet. Essentially, Web 1.0 was the read-only web in which content was created and produced by a small group of people. 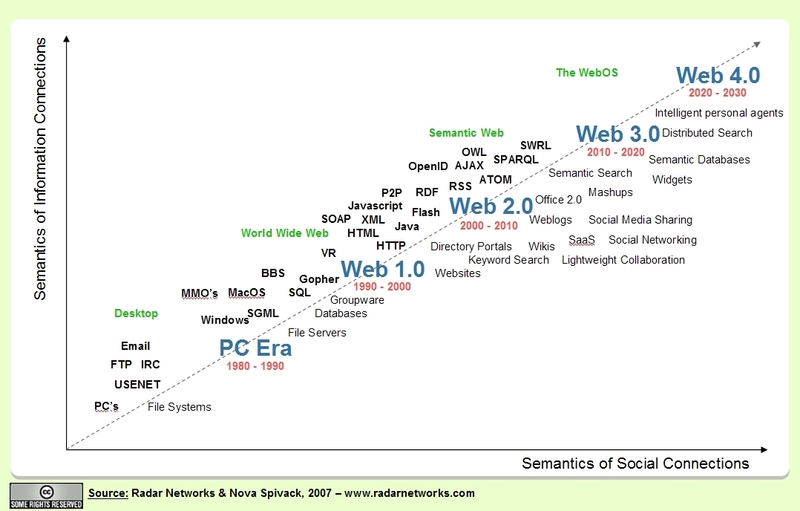 Web 2.0 (the current iteration) is the read-write web. With tools like blogs and social media, Web 2.0 gave us a huge influx of user-created content. User Created Software: In web 3.0 we have tools which make it simple for users to craft and execute their own software and programs. Integration with Devices and Hardware: The combination of numerous applications and algorithmic browsability by computer makes web 3.0 the first iteration of the internet that will become truly integrated with our everyday lives beyond the computer screen. We already see basic forms of this, such as video streamed from a computer to a tv, or the picture frames which display a slideshow from an online photo album. Now imagine this in more complex applications, such as a refrigerator which knows when you run out of a certain kind of food and sends an order to a online grocery delivery service. Or even just imagine being able to control everything that plugs into a wall in your house from a single screen. The possibilities are very nearly endless. With enough creativity, one can look at the various objects in any given room and think about how it could benefit from an internet connection. How Can I Be On The Forefront? As a business-person it’s crucial to stay on top of every development in the ever-changing landscape of the internet. Web 3.0 is coming about bit-by-bit, we won’t all be downloading the big upgrade from our suddenly outdated web 2.0 anytime soon. So you have time to update your technology and strategy along with the development of the internet. Almost any business has a way they could integrate their hardware with the newest forms of the internet. For example, perhaps you could employ GPS-tagging, something applicable to location-based services such as anyone who ships packages. Bar-code enabled content would be another forward-thinking step. Essentially the goal of all this is to make you and your products more semantically searchable. Currently this is all might be speculative thinking, and the development comes through people acting on that speculation, by innovating and integrating. The best tip here is to be creative when it comes to applications of the Internet and in doing so, be on the cutting edge of the web. Time for us to enjoy another video from the great intellectual resource that is TED. This time we’re watching Clay Shirky, a veritable “internet philosopher”, talk about the internet as a new form of media, and its place in our world. Or rather, our place in its world. I’m posting it here because it interestingly parallels the very first post I made on this blog. Disclaimer: The video is about 17 minutes long. In the interest of appeasing our ever shrinking attention spans and the lack of free time in the work day, I’ll give you a quick summary. Read it with the knowledge that Mr. Shirky does a much better job presenting his points, and with the plan to watch the video later. Basically, Shirky starts off by talking about the evolution of technology as a social tool. He describes how social technology, from the printing press to the telephone to the television, are effective either as 1 to 1 communication or as 1 to many communication. The Internet is the first vestige of many to many communication. He also explains how Internet’s nature is to absorb all other past forms of media, which we see occurring now and will surely see in more abundance in the future. According to Shirky, the key to the “many to many” communication of the internet is the fact that it allows everyone to be both a producer and a consumer of media. Whereas with something like television, a message was crafted and then distributed from a relatively small group of producers to the wider consumer audience, with the internet, anyone can say anything they like, and anyone else can receive that message. The benefits of the simultaneous consumer/producer role was evidenced through the recent earthquakes in China. Shirky explains how citizens using the internet were the first to report the earthquakes which China traditionally tries to cover up. 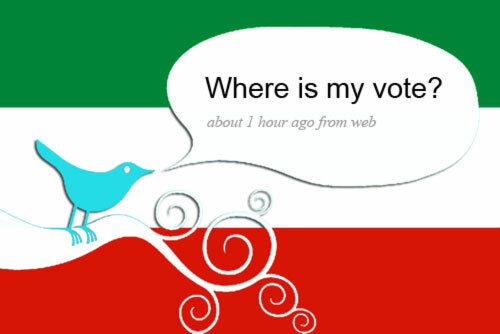 We also see the benefits of social internet through the protesting in Iran. Our traditional media outlets have been cut off from reporting in Iran, and as a result, social media through the internet has become a primary source of information. Shirky concludes with the idea that what used to be the monologue of media, the producers forming a message which they distribute to consumers, is now a dialogue. What’s more, the dialogue is only part of a larger conversation among the audience as a whole. Now this huge audience of amateurs, a group substantially larger than the professional elite, can talk to one another en masse. Shirky postulates that as a result of this, the majority of our media, now and in the future, will be produced by the amateur crowd. Shirky’s conclusion is that the internet as a new form of communication is less about the traditional methodology: craft a single message, send it to the masses, and more about creating environments for fostering groups of people who then converse. The final question Shirky asks to end his talk is one which you as someone interested in marketing on the internet should consider, both as a producer and a consumer: As someone trying to reach people, how do you take advantage of this new media environment? I think that’s a question we’re constantly endeavoring to answer through this blog, and a problem Pathfinder is consistently solving for its clients. Since the appearance of the iPhone, there has been an endless slew of iPhone imitators. The phrase “iPhone killer” was coined, a true testament to the power of the iPhone. None of those phones have come close to beating the iPhone for a variety of reasons, mostly because they were simply inferior devices. 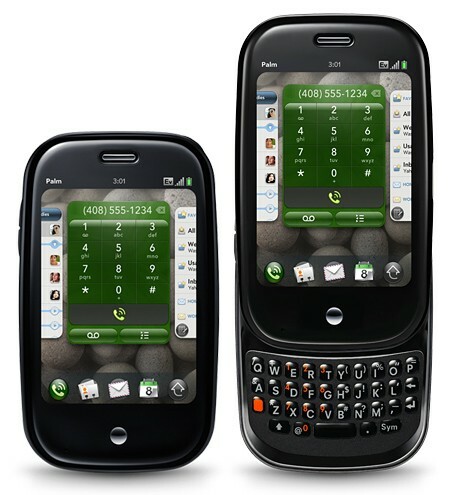 There is an upcoming contender however, the Palm Pre, which looks to be even better than the iPhone. Let me boil it down to a couple of points here. It has a qwerty keyboard. Though this doesn’t differentiate the Pre from the various other iPhone competitors, it is a major selling point, and something that makes it superior to the iPhone. It has removable battery. That’s right, you won’t have to go back to the store to get your phone physically worked on just because the battery is gett ing old. “The Gesture Area”. The bottom part of the phone is a black surface which essentially acts as the multitouch mousepad for your phone. While the screen itself is still a fully responsive touchscreen (supposedly moreso than the iPhone’s), the gesture area allows you to control just about everything with one hand. This is especially helpful when dealing with things at the top of the screen. 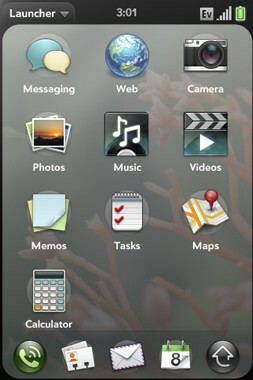 The Pre’s webOS is “absurdly slick”, performing zooms, transitions and fades with zero lag or stutter. All applications can be open and running simultaneously. You’ll never have that slowdown when switching between applications because the Pre is fully capable of running them all at once. “Cards”. When you want to switch applications, the interface zooms out to a deck of “cards”. Unlike the iPhone, these aren’t just thumbnail snapshots of the application, these are actually fully interactive live applications which can be individually flipped and manipulated. Content Aggregation. The Pre uses their “synergy” software to basically compile your contact information from a number of sources. It can recognize and grab all the contact information about the same person from sources like facebook, gmail, and outlook, combining them into an infostack for that person. It does all this while cutting out any duplicate information. If this technology works they way they say it does, you’ll never have to enter any new contact information into your phone. They use this same aggregation technology to pool instant messaging programs together. You can have a consistently threaded conversation which moves through sms, aim, gtalk and plenty of other services. Universal search. The Pre has a search function which will initially search through all your applications, and if it doesn’t find anything there based on your terms, will sift through default sites like Google and Wikipedia. So as far as the technology goes, it looks to me that the Pre is the first legitimate challenger to the iPhone. It has an answer to all the iPhone’s key selling points, and it has a few new selling points of its own. But unfortunately, the Pre is not going to “beat” the iPhone. It doesn’t matter if it’s a technically superior device. The iPhone will not be taken down by a single competing device because the iPhone is a part of Apple. This is the genius of Apple. They’ve created an impenetrable “Apple Universe.” There’s iTunes, the premier online music service, which works only with iPods and the iPhone. ITunes, iPods, and iPhones are all designed to integrate wonderfully with Mac computers. If you wanted to, you could rent a movie exclusively from iTunes, then stream it exclusively through your Apple Tv, directly to your television set. Or your Apple Cinema Display. Almost all of these products are exclusive to Apple, and they allow for very little competitor penetration. The second, and equally powerful weapon Apple has under its belt is its chic factor. Apple products are constantly growing in popularity because they’ve established themself as the “cool” technology company. You’ve seen the “Buy a mac” ads with Justin Long and John Hodgman. Mac’s are cool and young while PC’s are outdated and boring. A macbook is the cool laptop to be carrying around, and the iPhone is an equally cool device. The Palm Pre could be better in every respect on paper, but it could never beat the iPhone. The Pre is just a phone, the iPhone is a whole company. In the 80’s, the idea of “virtual reality” was all the rage. Virtual reality was supposed to be a simulated version of the real world, or an imaginary one, which one could experience as if it were reality. With an innovative combination of existing technologies, Pattie Maes and Pranav Mistry have created a way to project your computer onto reality. Here we have the ultimate portable computer, and an interesting look at an extreme direction technology could be going. Every day the internet and personal computers are getting more ingrained in our day to day lives. The ubiquity of smart-phones and the emergence of ultra-portable laptops is only the beginning. Description:This demo — from Pattie Maes’ lab at MIT, spearheaded by Pranav Mistry — was the buzz of TED. It’s a wearable device with a projector that paves the way for profound interaction with our environment. Imagine “Minority Report” and then some. Why is the success of smaller, cheaper, easier-to-use devices upon us? Simple: we are generally all short of time, money and patience! 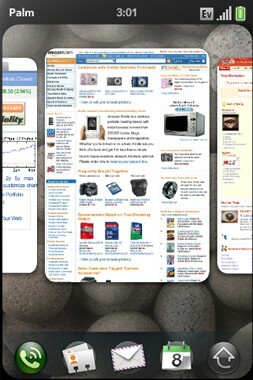 Witness the success of the Netbook Computer which is now outselling laptops worldwide. The Netbook grew out of the desire to provide inexpensive computers to poor nations. the original goal was to hit a $100 price point. Flash forward and with the advent of the Intel Atom Processor, these little 6 x 10 inch computers travel light and let you do most executive and Internet tasks with ease and cost only $300 to $400. 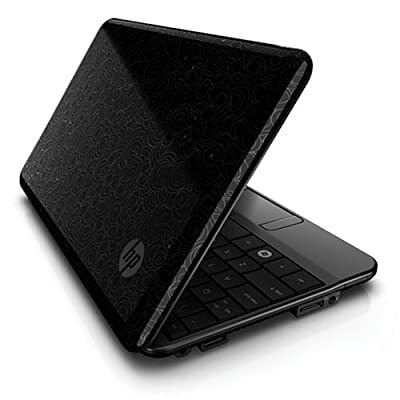 I love my HP mini because it comes with an almost full size keyboard and great screen. Also, I recently needed to replace my broken older generation Video Cam for family videos, etc. In this economy, why spend $600 to $1000 for any device? The pictured Flip Video is incredibly cool and simple. It records 60 minutes onto its built in Flash memory, then flips out a USB plug to go right into your PC forupload to your favorite sharing sites all for $125. I love it! Simple – Cheap – Easy.